Firstly, Diedrich coffee roaster is so much more expensive! I am sure, this is the first thing that would cross anybody mind when they are thinking about Diedrich. I guess, it is difficult to say that at more than $3000, Diedrich roaster is value for money. 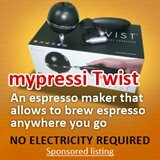 At a price that a simple espresso kiosk can set up an entire beverage counter, it is difficult to justify $3000 for just a coffee roaster. 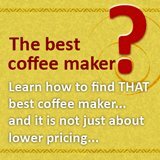 But, of course, with this price, you are not merely buying a a machine, you are buying years of expertise that Diedrich folks has invested into perfecting the roasting process. It can be hot top, Alpenrost or Aerorost, all these roaster regardless how good their technology is, requires the user to "learn" about them. You need to monitor, observe, hear the first crack then set the temperature to get the roast you want. With a Diedrich coffee roaster so much more multiple air flow controls, all you need to do is get the right profile for the beans that you want to roast, set the time, temperature and the roasting should be automated after the first roast. 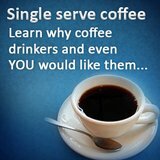 In fact, there are reviews of users simply calibrating the temperature and time for the roast they want and getting it the very first time! This might not really be applicable for home users, but would be greatly appreciated during the seasons' holidays. The Diedrich roaster can produce so much more roast. Most home coffee roaster, would advise "resting" the machine after 2-3 roasting to prevent overheating the machine. Perhaps is the quality parts invested into a Diedrich roaster, they can churn out much more roasted beans. In fact, Diedrich is one of the few roasters that can do continuous roasting, and this would really make your day as you are producing high quality and quantity "your blend" coffee beans for all your love ones. 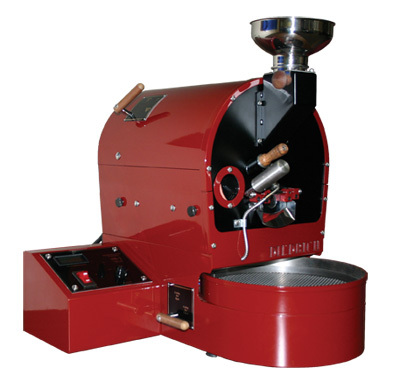 No many reviews would highlight this, but a Diedrich coffee roaster is so much better looking or should I say so much more "coffee roaster". With Diedrich quality craftsmanship, they have took a entire coffee roasters, shrink it (but not its capability) and allow you to put it into your house. The last point is really for ego purpose, think of the comments you would get when guest noticed the roaster and then are handed the coffee beans. 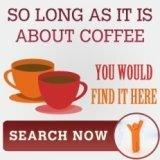 Roast some good coffee, now brew with good coffee makers?